Set the mod for multi-attack, have fun. Review by Nathan on 9/16/2015. Interesting. At first it looks like another king of the hill map, albeit one with the lower starting tiers at a disadvantage. However, when you see the maze that leads to the top, it becomes clear that nobody has that much of an advantage. 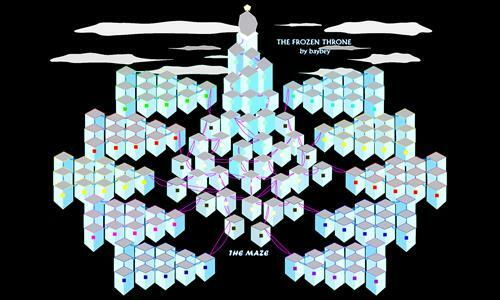 Moreover, the floating blocks in the middle are worth 5 territories each, enough to make it potentially worthwhile to ignore the race to the top and concentrate on building power in the lower regions of the map. That being said, the 190 bonus for the throne seems a bit overpowered, as it provides significantly more income than the rest of the map combined. A bonus of 75 might be more appropriate and generate balance between the eventual king and the "commoners" at the bottom.